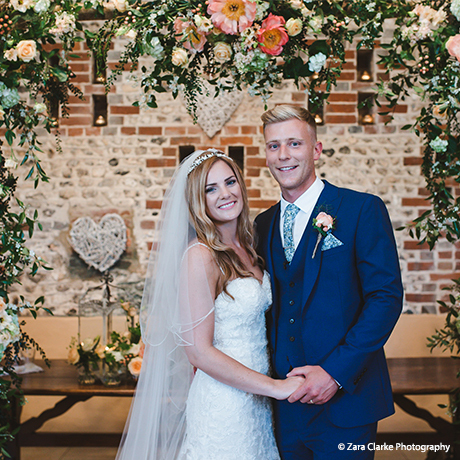 Lovingly restored, Upwaltham Barns is family-owned and exudes a warmth and friendliness that has made it one of the most popular wedding barn venues in West Sussex. The atmosphere is delightfully friendly and relaxed. The wedding venue is yours exclusively on the day so you can relax with family and friends in your own secluded country idyll. Are you looking for a brochure? Simply get in touch and we will send one straight away. 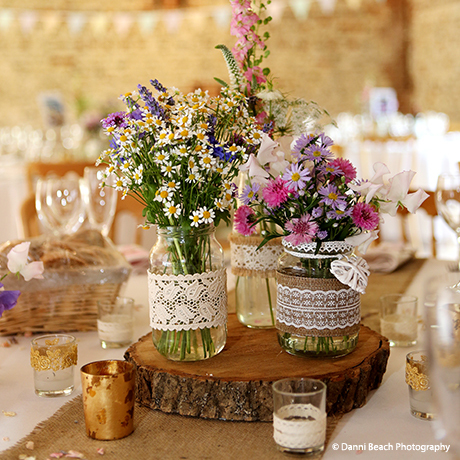 Wedding receptions take place in the South Barn, which has a wonderfully warm, rustic feel. Tea lights twinkle from recesses in the original brick walls and white fairy lights adorn the aged wooden beams. Wrought iron chandeliers, in keeping with the character of the barn, add an understated elegance and large French windows at one end of the barn allow in natural light and lead to the gardens with an outside Moroccan style seating area. Upwaltham Barns is a romantic setting for a civil wedding or partnership ceremony. Set in the heart of the South Downs National Park, you’ll feel a million miles away from the hustle and bustle of everyday life. Celebrate the start of your new lives together in this beautiful countryside hideaway. 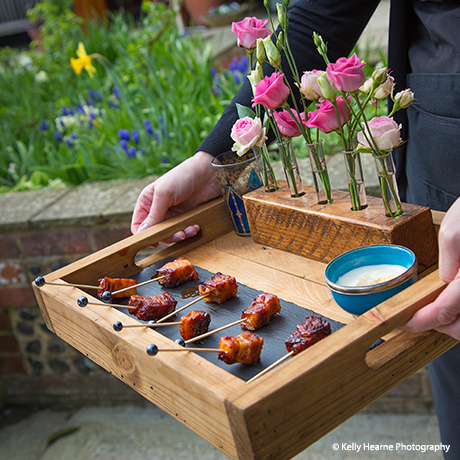 Upwaltham Barns caterers have over 15 years experience in wedding catering. Kate, Claire and their team are on hand to answer any questions you may have and offer advice throughout the whole process from booking, right through to the end of your wedding day. Plan a visit to Upwaltham Barns Seeing the venue first hand is the best way to experience it. Need to check if your big day is available? Get in touch to check available dates.